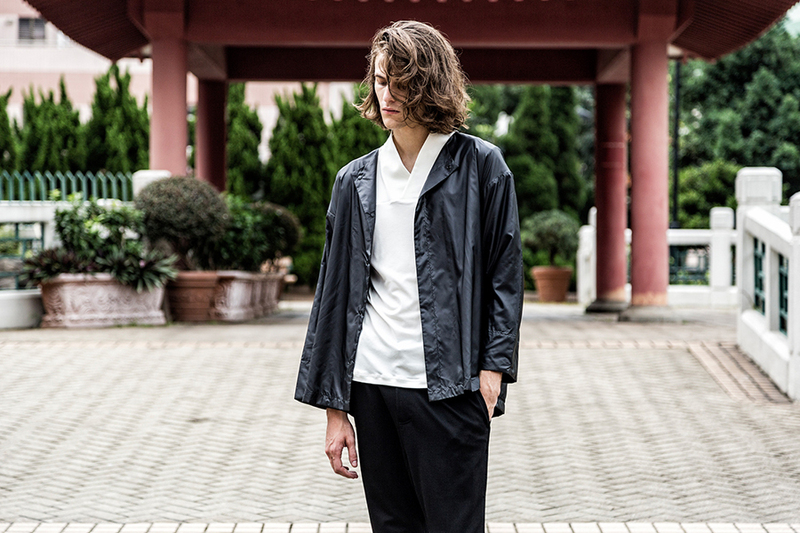 Japanese menswear label SASQUATCHfabrix. headed by Daisuke Yokoyama has built a reputation for infusing contemporary wear with Asian motifs and tailoring, giving heritage silhouettes a fresh facelift. This seasons collection focuses on reinterpreting traditional Japanese outerwear, specifically the kimono, into wearable staples, defined by oversized, draped separates that verge on nomadic – highlights include a reversible bomber jacket featuring tiger embroidery on the back and vibrant yellow lining, wide-legged denim hakama pants and a black sweatshirt embellished with Japanese patterning on the sleeves.